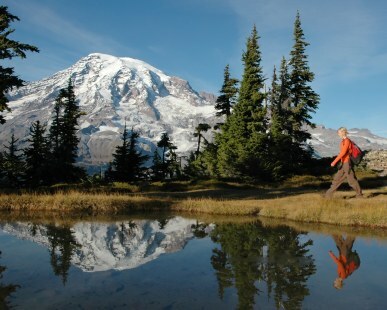 The Tacoma Mountaineers Open House & Speaker Series will inspire you to seek more adventure. On September 19, join us to hear great stories on the topic of What I did On My Summer Vacation. Beginning at 7pm see our orientation show of the programs and courses offered by the Tacoma Mountaineers. We welcome new members, prospects and friends. Bring the family to see what we do including climbing and scrambling, sea kayaking, skiing, snowshoeing, hiking, social & family activities, first aid, sailing, navigation, avalanche training, and more. This will be a chance to visit with committee people in activities of interest to you. Then watch the presentation beginning at 7:45pm.